Jörg Rabe von Pappenheim withdraws from DATEV's executive board after 14 years. 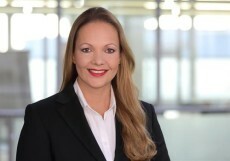 As DATEV’s supervisory board decided in September 2017, Julia Bangerth (45) succeeds chief human resources officer Jörg Rabe von Pappenheim (64) as of 1 July 2018. He will withdraw as planned after 14 years as member of the executive board and focus on his activities as lawyer and business consultant. "Jörg Rabe von Pappenheim has set the course to introduce DATEV’s digital transformation in its organization and human resource strategy," says Nicolas Hofmann, chairman of DATEV’s supervisory board. "Together with the supervisory board he strongly pushed these issues and I thank him for his strategic foresight and his innovative energy". Part of his tasks and projects was his responsibility for building and designing the DATEV IT-Campus 111, inaugurated in 2015. "His successor Julia Bangerth has given many impulses for future-oriented personnel policy during her two years in the company". Julia Bangerth has been on the DATEV board of managers since 2016, responsible for human resources. "Economy is in a radical change, deeply affecting personnel processes", says Bangerth. "Agile work, new methods of further training, and the increasingly linked up cooperation are only some aspects deeply influencing the organization. I would like to push these issues further so DATEV remains an attractive employer and an innovative and result-oriented company". Besides the department for human resources she will also be responsible for the areas facility management and international markets which she takes over from her predecessor. Before joining DATEV, fully qualified laywer Bangerth had various positions in the international consulting and engineering company Pöyry PLC, most recently as sales manager and vice president HR Central Europe. From 2004 to 2012 she worked for well-known entertainment companies, among others as CEO and corporate counsel. After studying law, Bangerth worked as lawyer and freelance lecturer at FOM Frankfurt, University for Economy and Management and at VWA Frankfurt, Hessian Administration and Business Academy. Dr Michael Link (36) succeeds as head of human resources. Fully qualified lawyer Link joined DATEV in 2010. He held several appointments in the human resources department, recently in the policy unit digital transformation. From 2007 to 2010 Link practiced law, following his admission as a lawyer. 2013 he took his degree on the subject of "Open Access in Science" at Friedrich-Alexander-University Erlangen-Nuremberg. "We will consequently make sure DATEV has modern and attractive working conditions. We have to keep a good balance between stability and excellence as well momentum and change," says Link. Members of the executive board as of 1 July 2018.